ELEVATE YOUR FITNESS ON THE NEXT LEVEL! Wildly gathered and mindfully selected. GMO Free, Gluten Free, Fair Trade, Organic, Air tight Kraft Packaging. 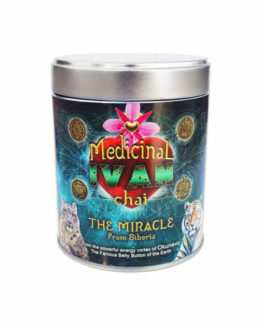 Contains NO caffeine, taurine, purine, oxalic acid or uric acid! 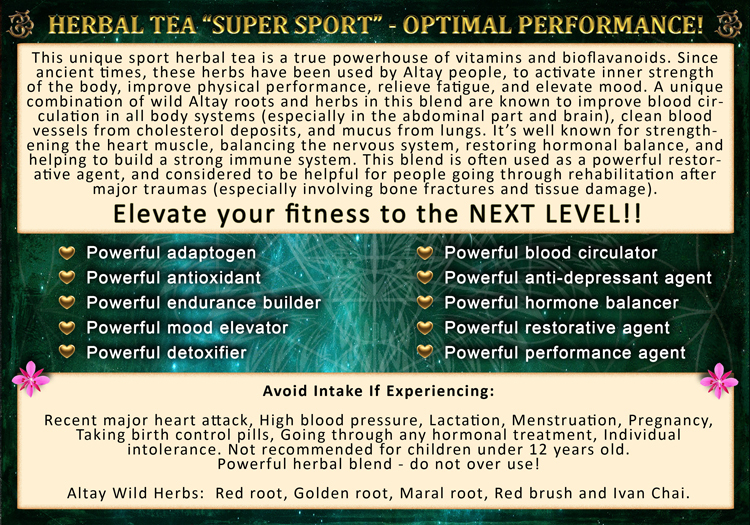 This unique sport herbal tea is a true powerhouse of vitamins and bioflavanoids. 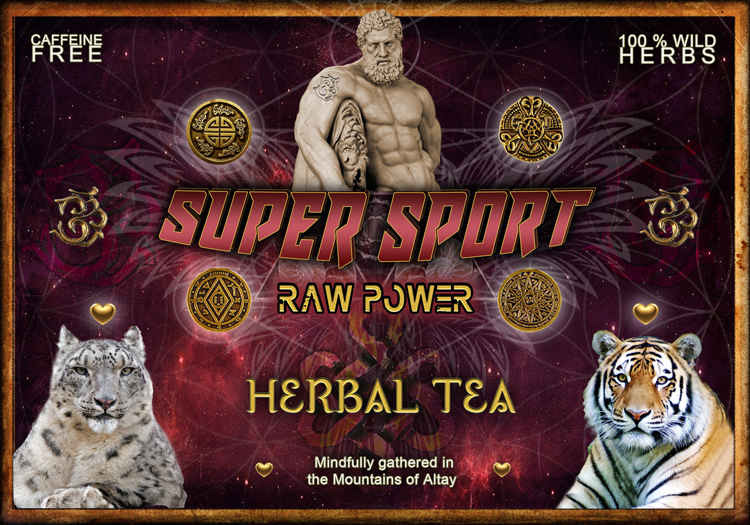 Since ancient times, these herbs have been used by Altay people, to activate inner strength of the body, improve physical performance, relieve fatigue, and elevate mood. 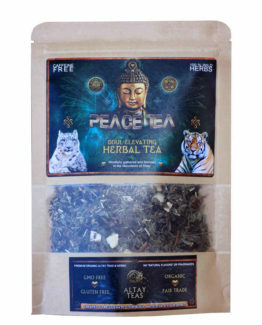 A unique combination of wild Altay roots and herbs in this blend are known to improve blood circulation in all body systems (especially in the abdominal part and brain), to help clean blood vessels from cholesterol deposits, and mucus from lungs. 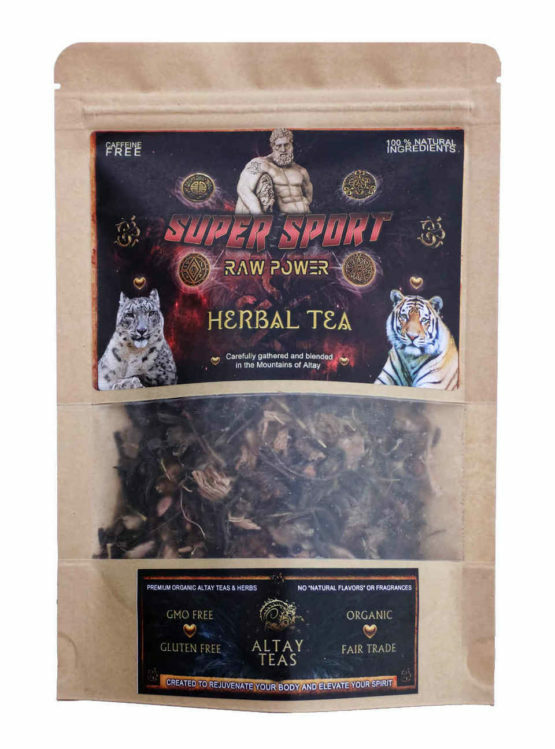 It’s well known for strengthening the heart muscle, balancing the nervous system, restoring hormonal balance, and helping to build a strong immune system. 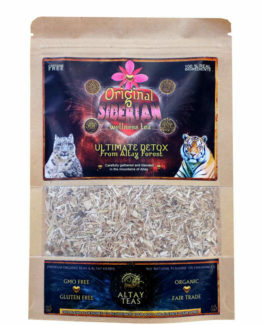 This blend is often used as a powerful restorative agent, and considered to be helpful for people going through rehabilitation after major traumas (especially involving bone fractures and tissue damage). 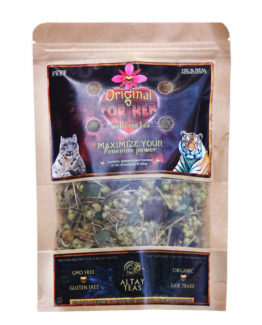 Steep herbal tea overnight in the dark place. In the evening, before sleep, fill bottle with the hot water and let it steep overnight. Repeat process for 3-4 days.